We know teachers are all heart. 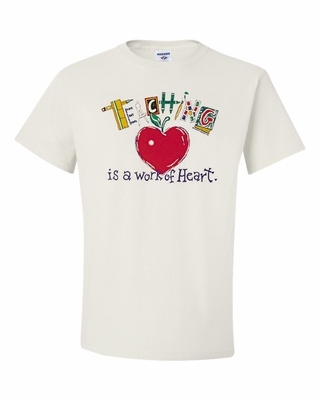 They'll delight in a Teaching is a Work of Heart t-shirt or sweatshirt in a variety of colors. Add a Teaching is a Work of Heart coffee mug for a unique and thoughtful gift.